This hasn’t been a great year for bike-share launches in America, with the dominant operator, Alta Bicycle Share, struggling with supply chain problems. But there will be a new system coming online soon. 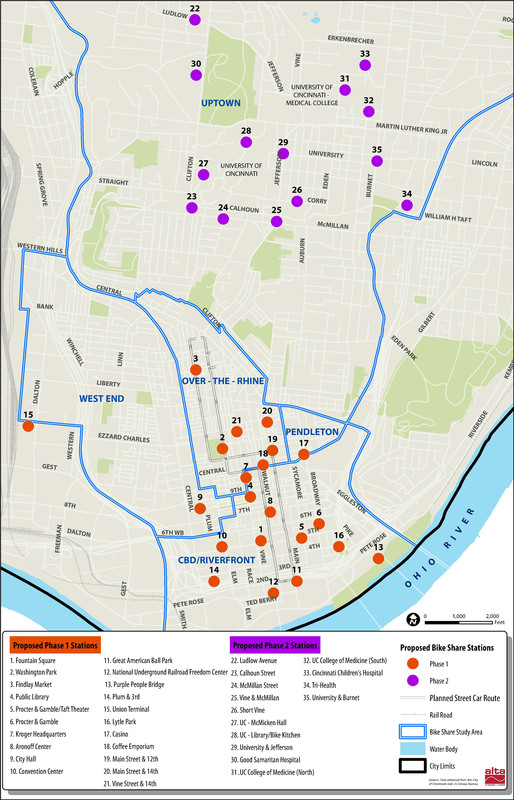 One strange aspect of the Cincinnati network is the gap between two clusters of stations. Simes says the two areas “will most likely operate in isolation of one another.” It’s unclear if Cincinnati intends to fill in this gap. After the first 35 stations, the system is expected to expand across the Ohio River to northern Kentucky. Elsewhere on the Network today: Bike Portland shares a prediction from former Chicago and DC transportation commissioner Gabe Klein, who says driverless cars will eliminate the need for parking in downtown areas. NextSTL explains why Missouri’s proposed sales tax hike for transportation went down in flames. And Better Cities & Towns notes that some Houston suburbs are embracing placemaking.